RICHARDSON, JAMES, farmer, schoolteacher, and geologist; b. 29 March 1810 in Perthshire, Scotland, the eldest of four children; m. Barbara McConnachay of Lachine, Lower Canada, and they had a son and a daughter; d. 18 Nov. 1883 at Matane, Que. James Richardson immigrated to Canada in 1829 where he was employed as a farm labourer in Lachine and later as a teacher in Beauharnois County, near Montreal, before he was engaged by William Edmond Logan*, director of the newly established Geological Survey of Canada, as an assistant on surveys of Lake Superior in 1846 and 1847. During succeeding summers, while living in Beauharnois, Canada East, Richardson served as assistant in a series of investigations by the Geological Survey which concentrated on interpreting the geology of the Eastern Townships of Canada East from the American border to the base of the Gaspé peninsula. These included work along the Chaudière River in 1850, near Beauharnois and Coteau-du-Lac in 1851, and from Montreal Island along the north shore of the St Lawrence to the Saint-Maurice River and Île d’Orléans in 1852. Richardson played a major role in the collection of mineral specimens from the Ottawa and Quebec, regions which were included in the Canadian exhibit at the universal exposition in Paris in 1855. This exhibit brought much needed recognition to the Geological Survey of Canada and personal honour to Logan. A permanent appointment as an “explorer” with the Geological Survey was granted to Richardson in 1856. Although originally “hired to do camp work,” he had shown “some native ability and no small amount of curiosity”; he had learned the fundamentals of geology and mapping through field experience and through association with Logan and other members of the survey staff. These skills were now applied in the direction of independent field operations. The first of Richardson’s 14 reports on geological examinations in various parts of Canada, “On the geology and topography of the island of Anticosti and the Mingan islands,” was published in 1857 as part of the survey’s cumulative progress report for 1853–56. The Anticosti survey also added important new fossil specimens to the rapidly growing collections of the survey, collections which would later form a basis for the holdings of the National Museums of Canada. Notable geological explorations along the Gaspé and the north shore of the St Lawrence River followed. In 1860 Richardson became the first to use photography in Canada to record geological features, in a traverse of the north shore and along the coast of Newfoundland. Further work on the northwestern coast of Newfoundland followed in 1861 and 1862, culminating in a large-scale map of the area. Unfortunately, his reports and map were never published, although, viewed later as classic work in the area, they were used by Alexander Murray, first director of the Geological Survey of Newfoundland. Richardson investigated the Quebec region in detail, both north and south of the St Lawrence, during the years 1863–70. Logan was moved to comment in a report in 1863 that Richardson, though “a most valuable and indefatigable explorer,” still required “aid in working up his materials into a report.” This prolific period of field-work was interrupted in 1867 by several months with the Canadian exhibit at the universal exposition in Paris. His reports on his Canadian field investigations stressed deposits with mining potential, for instance the 1870 “Report of the country north of Lake St. John.” This report had necessitated an arduous canoe trip north toward Lac Mistassini during which he first noted the copper-pyrite deposits at Lac Chibougamau. The acquisition of the northwest by Canada and the entry of British Columbia into confederation in 1871 brought vast new challenges for the Geological Survey. Richardson accompanied Alfred Richard Cecil Selwyn*, the director of the survey since 1869, to British Columbia where he was to spend portions of the next nine years in lengthy field investigations, with emphasis upon coalfields and possible railway routes. This work again resulted in important fossil specimens being added to the national collection as well as the acquisition of an interesting photographic record of coastal British Columbia. Among the highlights of these years were a traverse of the Cariboo Road in 1871 and specialized studies of the coalfields on Vancouver Island including those at Nanaimo, Comox, and Cowichan, so important to the proposed transcontinental railway. Richardson Inlet in the Queen Charlotte Islands was named in 1878 by George Mercer Dawson* in recognition of Richardson’s contribution to the geological exploration of Canada. Unwilling retirement in 1880, under the recently acquired superannuation benefits of the Civil Service Act, was followed by temporary work collecting specimens for McGill College in Montreal. 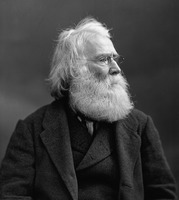 Richardson also served for a period as cabinet keeper for the Geological Survey, which in 1881 was integrated fully into the civil service when it moved from Montreal to Ottawa. Geology developed in Canada during Richardson’s career from being largely a self-taught discipline to one dominated by men of academic distinction with formal training. Richardson nevertheless made important contributions especially in his collection of mineral specimens and his innovation in the use of photographic records in geological survey work. PAC, RG 45, 156, nos.2883–84; 169, nos.1476–79, 2609–12; 170, nos.1482–85, 1496–1509, 2613; 171, nos.1510–13, 1315–24. Early Canada: a collection of historical photographs by officers of the Geological Survey of Canada, comp. E. Hall (Ottawa, 1967), 6–11. Geological Survey of Canada, Report of progress for the years 1853–54–55–56 (Toronto, 1857), 191–245; Report of progress from its commencement to 1863 . . . (Montreal, 1863), iv; Report of progress for 1870–71 (Ottawa, 1872), 283–308; Report of progress for 1871–72 (Montreal, 1872), 73–100. Gazette (Montreal), 22 Nov. 1888. Dominion annual register, 1883: 326–27. Wallace, Macmillan dict., 627. F. J. Alcock, A century in the history of the Geological Survey of Canada (Ottawa, 1948). Zaslow, Reading the rocks. David R. Richeson, “RICHARDSON, JAMES (1810-83),” in Dictionary of Canadian Biography, vol. 11, University of Toronto/Université Laval, 2003–, accessed April 19, 2019, http://www.biographi.ca/en/bio/richardson_james_1810_83_11E.html.